EnviroSmart.org recycles printer cartridges and cell phones at no cost to you. Supplies are provided free of charge and we pay shipping. We will pay you for each listed printer cartridge or cell phone. (List of cartridges and cell phones accepted and the pay per cartridge or phone are subject to change without notice.) Please email us for our current recycling list. We recover resources and give products a second life. By recovering cell phones and printer cartridges, we increase the use of our natural resources. They are no longer single use products. They can be used several times. This reduces waste and consumption. Remanufactured cell phones and printer cartridges use fewer resources than manufacturing new ones. Cartridges and cell phones that are damaged are broken apart and separated. Metal, plastic, and other materials are sold to vendors who will use them to make other products. Recycling cell phones and printer cartridges helps save energy and keeps valuable and useable materials out of landfills. These products are made from precious metals, copper, and plastics. They require energy to mine and manufacture and distribute. Recycling these materials not only conserves natural resources but prevents pollution and greenhouse gas emissions. Recycling keeps harmful chemicals from reaching our groundwater and polluting the air. 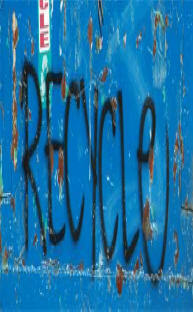 Recycling reduces the amount of natural resources we extract from the earth. Remanufacturing cartridges uses 80% less energy than making ones. Atypical cartridge takes 1000 years to decompose. Americans have 500 million obsolete, broken, or unused cell phones and more than 130 million are added each year. Copyright © 1998-2008 www.EnviroSmart.org. All Rights Reserved.